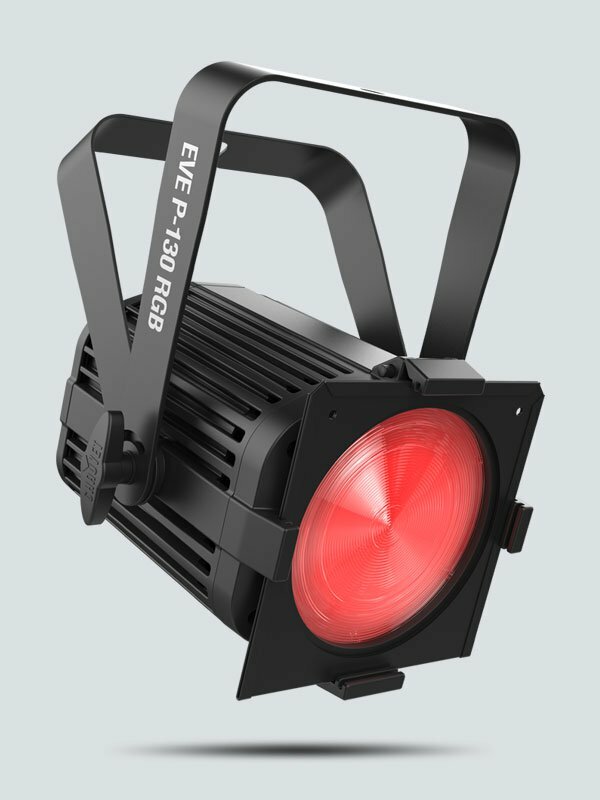 Over on Chauvet’s DJ side they were showing the new Eve units that include the 130W tri-color Eve P-130, the 140W variable white Eve P-140 and the 150W ultraviolet Eve P-150 UV. The three new Eve units have a bright, flicker-free output that makes them well-suited for events of all sizes. All the fixtures are fan free and silent for use in video recording applications. The Eve series features an interchangeable 25° and 45° magnetic lenses making it easy to change beam angles. The fixtures also have a gel frame holder and 6 ¼ – inch accessory slot for optional barn doors. 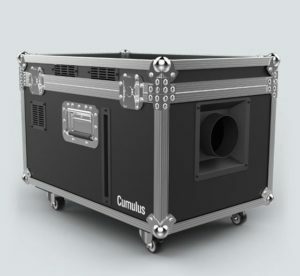 Adding to their flexibility, the new fixtures offer D-Fi USB compatibility, PowerCON-compatible power linking capabilities, and both 3-pin and 5-pin DMX connections. There were also two new atmospheric effects, one called the Cumulus which uses an ultrasonic agitator and water to create a low lying “dancing on the clouds” effect without the need for dry ice. Joining the Cumulus is the Hurricane 2000, a high-volume fog machine that produces a thick plume on demand because of its Always-Ready technology that provides a continuous output, and its built-in timer provides hands-free, automated operation. An advanced fluid sensor with automatic shut-off prevents overheating, and the variable output can be controlled from the on-board LCD display or DMX.